I don't like fishing in the rain, but I also don't not like it. It rained yesterday. I fished. 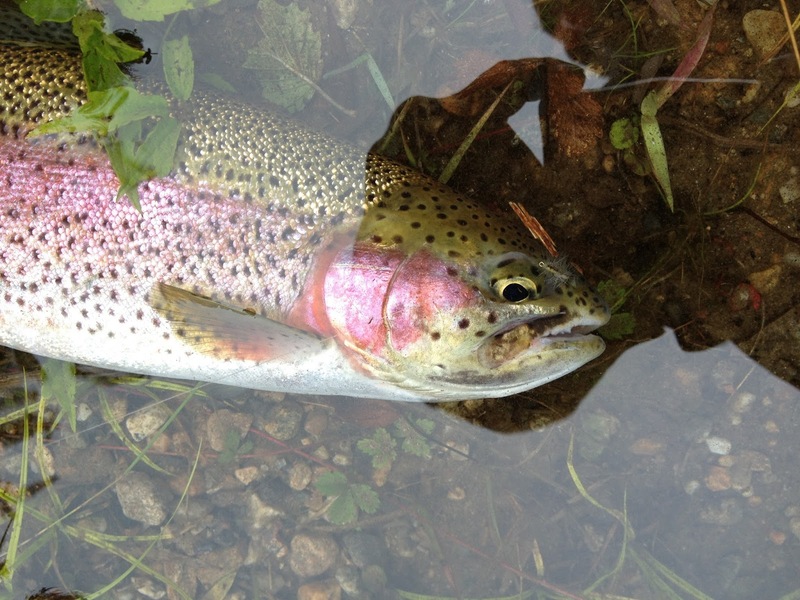 Things started hot and heavy with a number of trout falling for floating beadles and fuzzy wuzzys. No shortage of missed hits either. 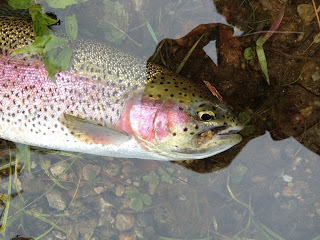 There was dry fly action even as the rain fell hard. This fish came up hard on my fuzzy wuzzy and took it right in the nose. How embarrassing! 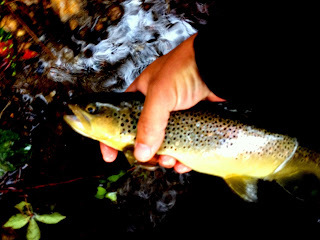 Of the dozen or so fish I hooked, two were browns. I landed them both. I like brown trout. Had a male that was much bigger than this one. He spluged on me while I was trying to unhook him and I lost my grip, so no picture. Then a hatch started and tiny midges started to come off the water. The fish began to feed hard. I could not match what they were on. I went through 25 different patterns and got a lot of looks but no takes. I still don't know what they were on. I guess I need to buy more flies.